Diabetes is a condition that occurs when the body cannot maintain healthy levels of sugar (glucose) in the blood. 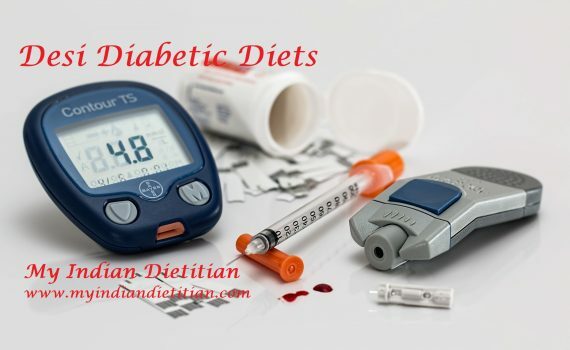 Type 2 diabetes develops when the body does not make enough insulin or does not use it well. This type of Diabetes can be easily managed with a healthy diet and physical activity and medication. There are a lot of foods that can help in lowering the sugar levels. That being said it should be mentioned here that these are not ‘Miracle Foods’ that can reduce your sugar levels after you have eaten sugary foods! 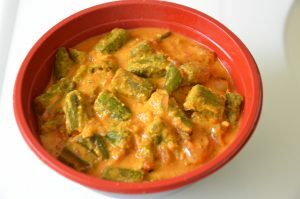 One such vegetable is the humble Bhindi(ladiesfinger/Okra). Studies have shown that Ladiesfinger/Okra may benefit diabetics by reducing the rate of glucose being absorbed by the intestine. This may be primarily due to the slimy mucilage that is in the vegetable. It is also high in fiber which is an important component for controlling diabetes symptoms by keeping you full for a longer period thereby reducing hunger cravings. It also contains other nutrients like antioxidants, folate, potassium, calcium and vitamin K. Many people soak a cut ladiesfinger in water overnight and drink the water in the morning along slimy content. Want to try a different kind of fried rice?? Try out Okra Fried Rice!! 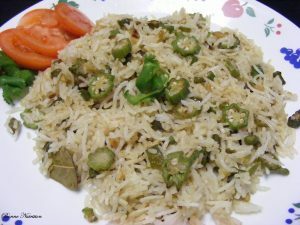 We first had Okra Fried Rice at a Caribbean inspired party and it was just awesome!Never knew that okra /bhindi could blend so well with rice. The whole dish has a subtle okra flavor and goes well with the jerk chicken (jerk potatoes for the vegetarians) and goat curry. I didn’t get the actual recipe, but tried it anyway and the result was almost similar to the original. So go ahead and try out this awesome Caribbean style Okra Fried Rice. 1)Heat the oil in a non-stick pan, add the bay leaves, cloves, cinnamon. Then add the chopped onions and garlic and saute till translucent. 2)Add the bell pepper and saute for 5 mins(optional) and then add the okra rings and fry till it loses the stickiness. 3)Add the soy sauce,allspice,pepper and salt and saute for a couple of minutes. 4)Add the cooked rice(you can add some chicken soup base while cooking the rice for added flavor) and mix well. 5)Serve the Okra Fried Rice with ‘jerk chicken’ or ‘jerk potatoes’, Chicken curry, or any spicy curry. 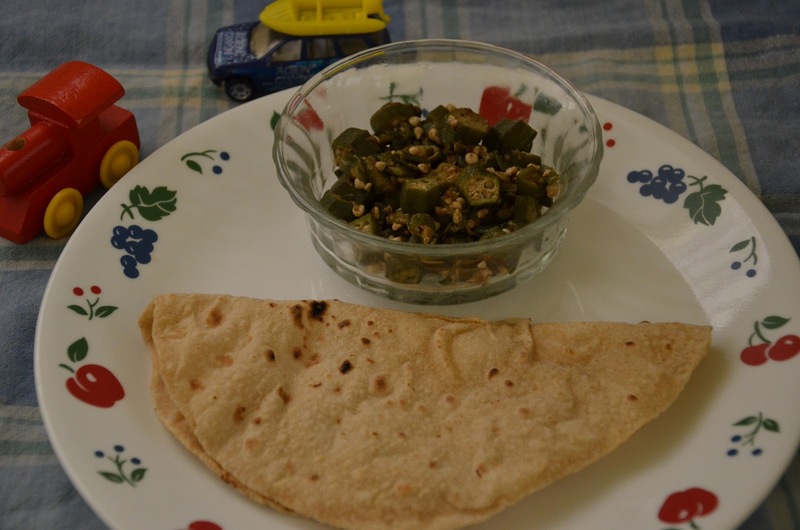 This is a gravy style bhindi masala with peanuts. The peanuts add a lovely flavour to the gravy. 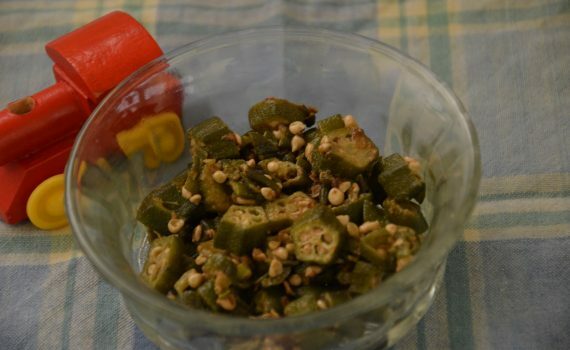 Dry the okra/bhindi and cut into one inch pieces. Heat about 3 tsp oil in a kadai and add the bhindi pieces. Stir fry till the bhindi turns a little brown. remove from flame and keep aside. Meanwhile, put the tomatoes, peanuts, green chilies, garlic and ginger in a blender and blend to a fine paste (without adding water). Heat a teaspoon of oil in the same kadai, add the jeera , turmeric and the bay leaf then add the paste, salt, red chili powder, cumin powder, garam masala and coriander powder and saute till the oil leaves the sides. Then add the fried bhindi and mix well. Add about a cup of water and simmer and cook for 5 minutes. Check for salt (and spices), serve with rice and dal or with roti/phulkas. 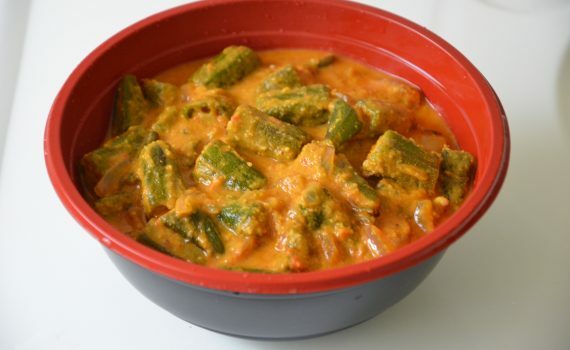 Okra is rich in both soluble and insoluble fibers which may help in lowering cholesterol, aid in digestion and also have folate and vitamin K along with Vitamin A, B&C. 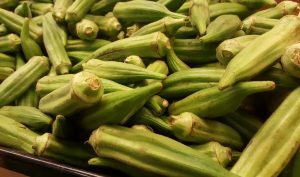 Wash, pat dry and cut the okra. Heat the oil in a non-stick pan and add the okra slices. Stir occasionally till the okra is almost done (the slimy part goes away) . Add the cumin powder , salt and/or red chilly powder and mix well. Switch off. Squeeze a dash of lime and garnish with cilantro. 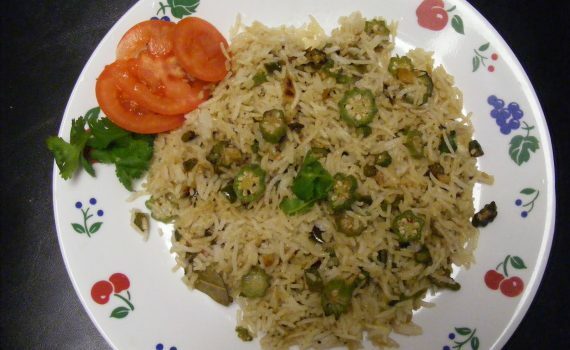 Serve the dry bhindi sabzi as a side with rice and dal or with phulkas.